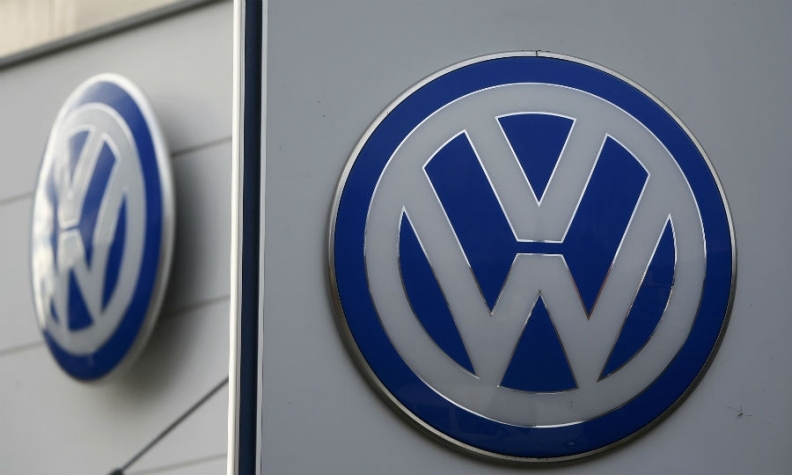 BERLIN -- The German state of Bavaria said it will sue Volkswagen Group for damages caused by the emissions-test cheating scandal, the first regional government in VW's home country to take legal action against the automaker. Bavaria's state pension fund for civil servants lost as much as 700,000 euros ($783,580) after VW shares plunged in the wake of the Sept. 18 announcement by U.S. regulators that VW had rigged diesel engines to lower NOx pollution. Bavaria's pension fund lost out from the fall in the shares, Bavarian Finance Minister Markus Soeder told German news agency Deutsche Presse-Agentur on Tuesday. "We want this money back," said Soeder, a member of the Christian Social Union sister party of Chancellor Angela Merkel's Christian Democrats. Bavaria's pension fund plans to file its suit against VW in September at the regional court of Brunswick, near VW's Wolfsburg headquarters. Bavaria is home to German blue-chip companies including BMW, Siemens and Allianz. So far none of Germany's 16 federal states has taken legal action against VW over the scandal. Baden-Wuerttemberg, where Daimler and VW's sports-car brand Porsche are headquartered, has been pondering legal action against VW, a spokeswoman for the state finance ministry said, adding it held about 65,000 VW preference shares when the scandal broke. Winterkorn and Diess are subject of a probe by Brunswick prosecutors who are also investigating more than a dozen lower-level VW managers over the scandal. Lower Saxony expressed skepticism about the prospect of legal action such as Bavaria's succeeding. It remains to be seen whether Bavaria will seek damages for losses incurred because of the fall in VW's share price or whether the state will claim that a violation of disclosure rules on behalf of VW caused the financial damage, Lower Saxony state finance minister Peter-Juergen Schneider said in an emailed statement. "Lower Saxony is a strategic investor in VW," Schneider said. "Trading with shares was not and is not intended. Therefore, it's questionable whether a potential violation of ad-hoc rules even caused material damage." VW is caught up in legal action in the U.S., South Korea and elsewhere and is facing billions of dollars in costs related to its emissions-test manipulations.